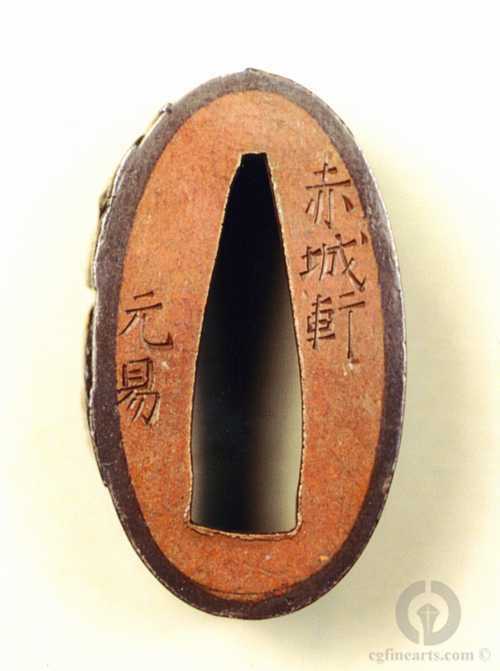 This Fuchi has a design of Nobles under a Bamboo tree in Shakudo, Gold and Copper over a Yamagane ground. It bears the signature "Sekijoken Motoyasu", whose true art name was Mototsune. He worked in Mito in Hitachi Province and died circa 1800.